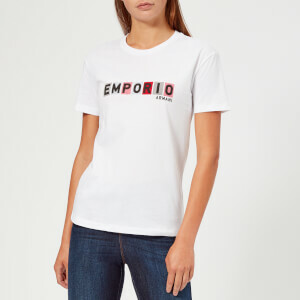 Women's logo studded T-shirt from Emporio Armani. Crafted from stretch cotton, the grey tee comprises a round neckline, short sleeves and a repeated logo print to the front. 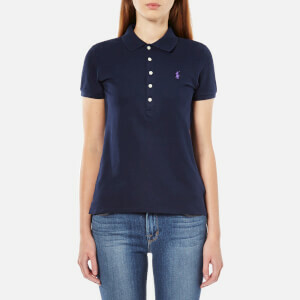 Accentuated with a studded eagle on the chest. Tonal stitching throughout.